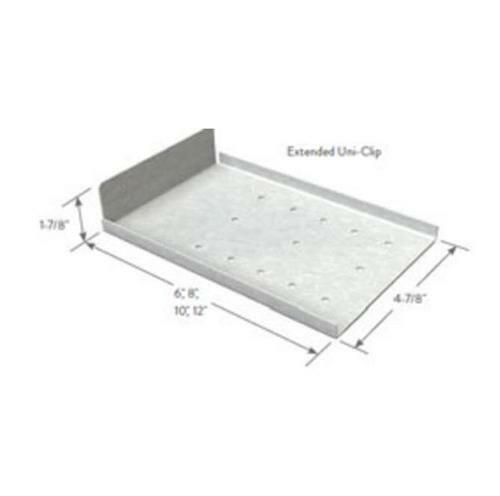 ClarkDietrich’s Extended Uni-Clip™ rigid framing clip is used to attach exterior wall studs to the structure of the building. Designed to resist horizontal and vertical loads, the extended rigid clips install easily with screws, powder-actuated fasteners, or welds. This clip is ideal for all medium and large standoff conditions.